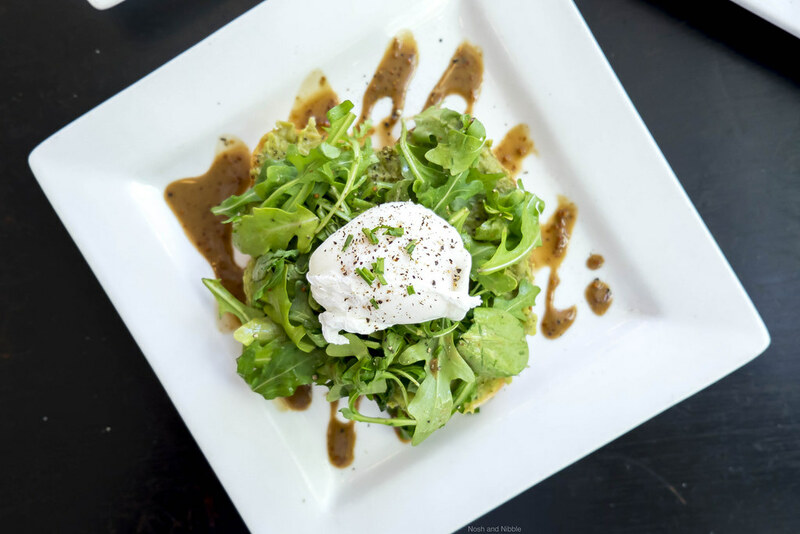 After much fanfare with their 3 openings over the last 2 years, Prado Cafe has steadily increased their culinary influence with the addition of a brunch menu at a few locations. 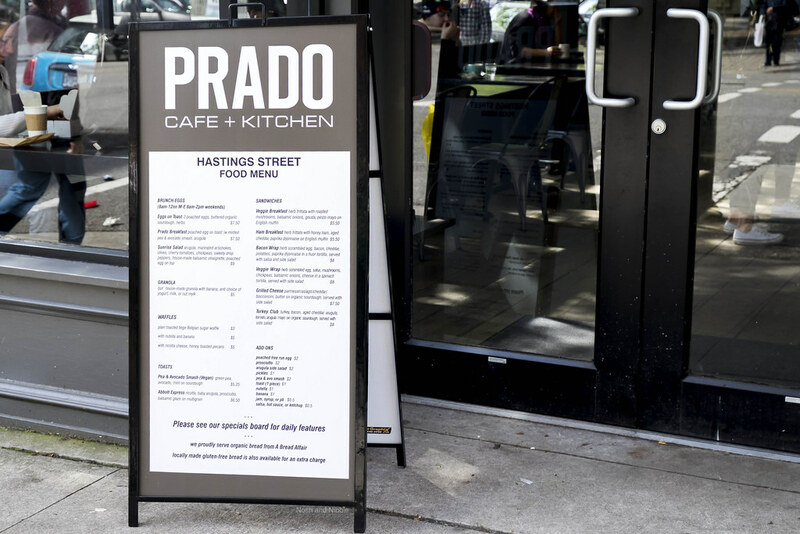 Fraserhood’s Prado Cafe was launched as a kitchen and drink cafe, and just a few weeks ago, the West Hastings Prado Cafe has likewise launched a new brunch menu. 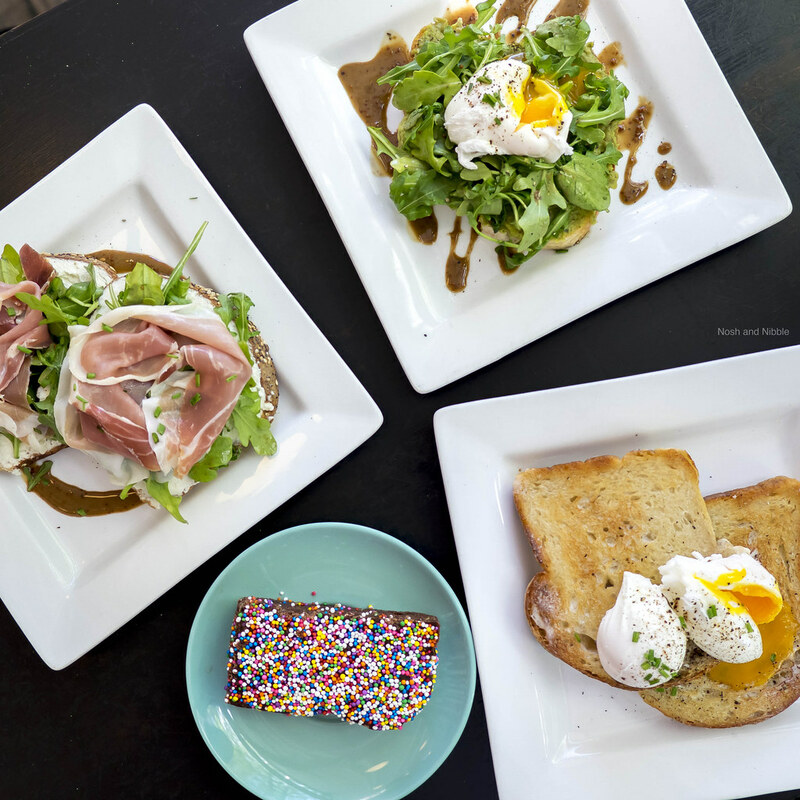 With a more diverse menu, is Prado Cafe a worthy everyday brunch stop or should you stick to their coffee and treats? Read on to find out. Disclosure: This was a complimentary tasting given in exchange for an honest review and no monetary compensation. 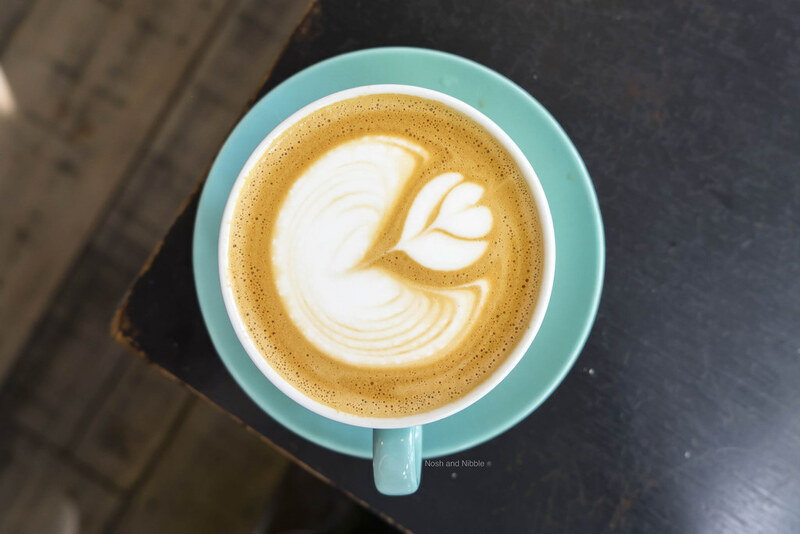 The Latte was made with 49th Parallel Roasters beans -- a solid Vancouver business if there ever was one (Sammy Piccolo also co-founded Caffe Artigiano). Latte art was pretty good here. It was a complex design with multiple gaps and the only thing I could point out were some symmetrical gaffs. Otherwise, this is the quintessential Vancouver latte, a little more caffeine flavour than Nemesis Coffee, and with slightly larger bubbles than Republica Coffee Roasters, two coffee shops within 200 metres. Here’s where drinks get interesting. 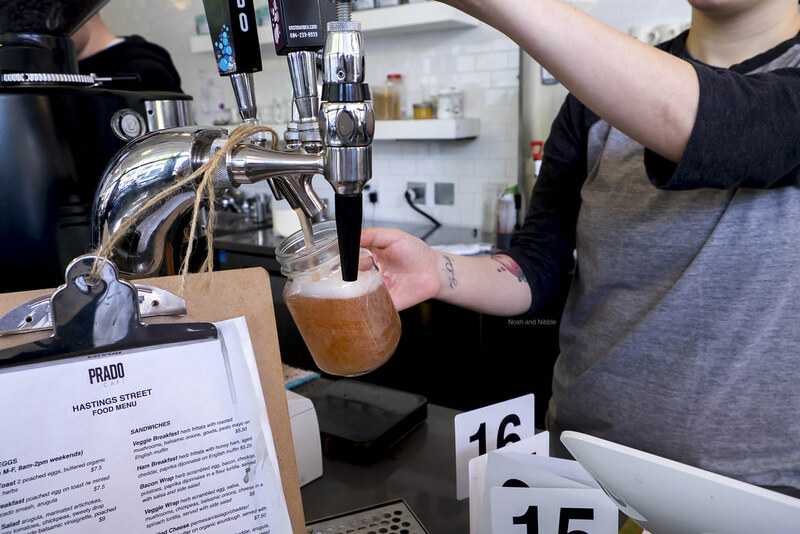 Kombucha is served from a tap here! That’s a pretty big commitment to keeping pipes clean and it could be that kombucha is popular enough for Prado goers that this bacterially healthy drink is available on tap. It had a long fizzy finish with hints of lavender popping through the natural carbonation which I enjoyed. Moving onto to some food items, the Eggs on Toast were a fine if simple brunch solution. 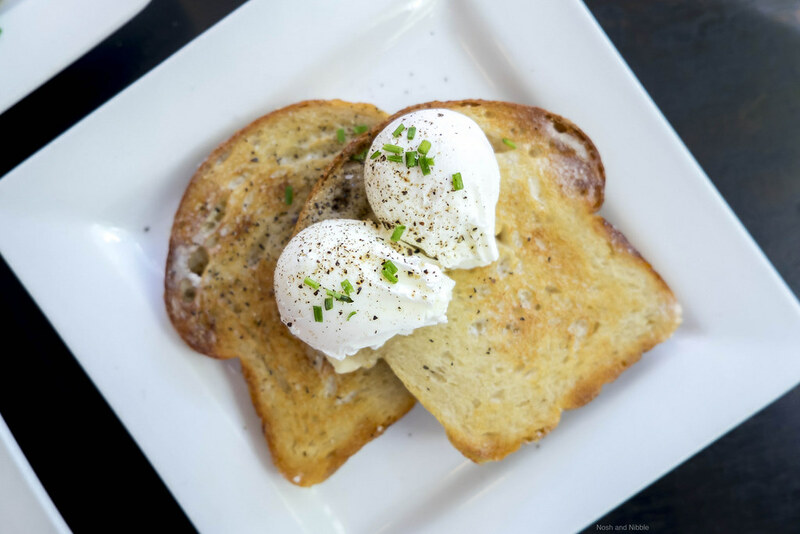 With Bread Affair sourdough, the onus was on the poached eggs to provide enough yolk to lather the toast with. Thankfully that was possible with two eggs. Both yolks popped with satisfaction and there was lots of flavour on the buttered sourdough. The Prado Breakfast is an evolution of the popular breakfast sandwich. Coming with a poached egg, minted pea and avocado smash, and arugula, this sandwich was well dressed. A slight bummer is you lose the second slice of toast that the Eggs on Toast comes with so I’d recommend ordering something baked to go with this sandwich. Again, the yolk game was on point and all it took was one pop to turn this already good sandwich into something gooier and tastier. At $6.50, the Abbott Express might be the secret value brunch item. 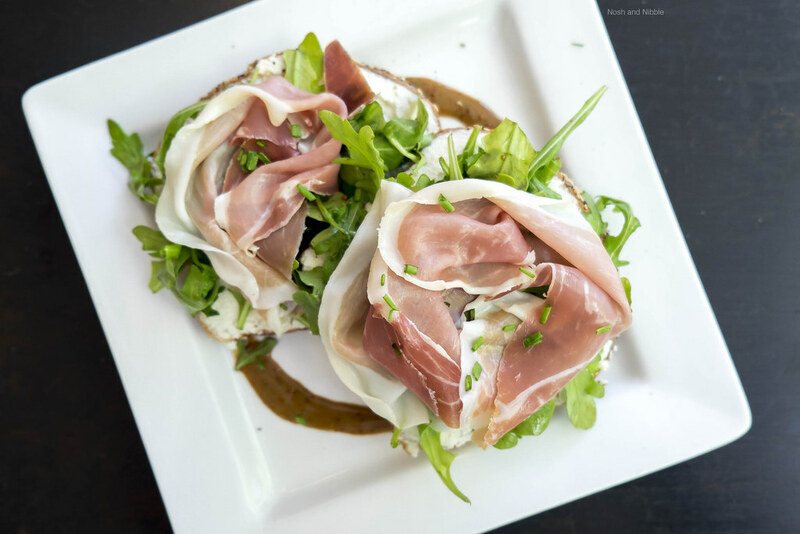 With it you get a second slice of toast, ricotta, prosciutto, and balsamic glaze on multigrain toast. The prosciutto was chewy, was lined with tasty fatty bits and the ricotta was straight up a very filling spread. It’s always exciting to order locale-inspired items and the Abbott Express would be very fitting for someone on the go needing a calorie-dense sandwich. 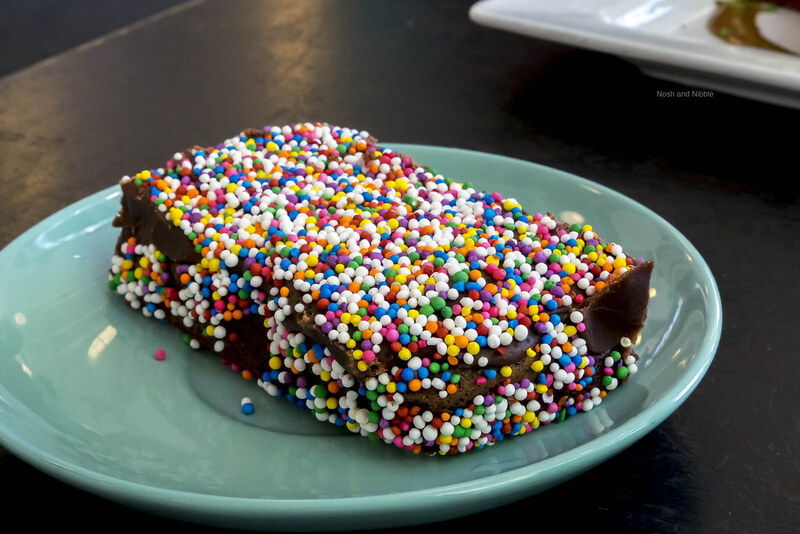 As a bonus, we were also given a chocolate cake with sprinkles. My eyes went wide looking at the spectrum of colour here. Taste-wise, the balance of sugar was thankfully maintained as the sprinkled provided the bulk of sweetness, crunch, and fun. The cake itself was very moist and almost reminded me of a brownie. For those looking for something spongey though, I’d recommend trying something else. 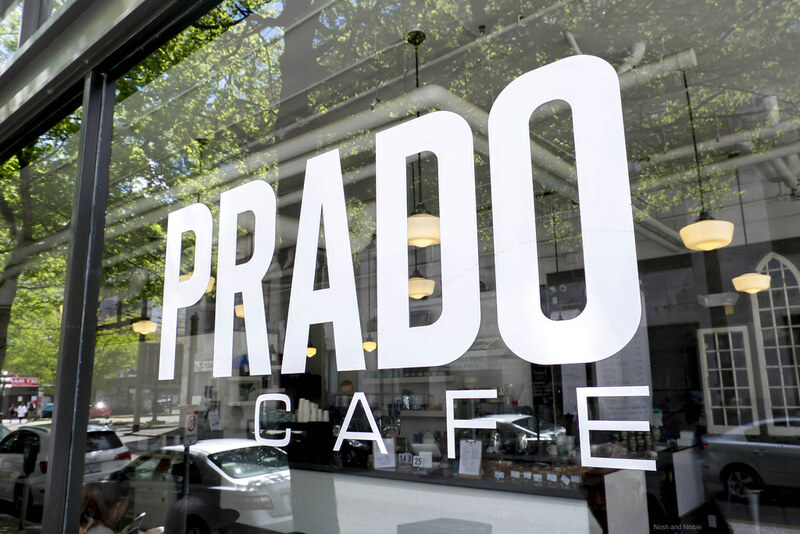 Prado Cafe, founded in 2004, is hellbent on combining a tasty brew with a great atmosphere. The space on West Hastings and Abbott lives on the edge of one of Vancouver’s iconic neighbourhoods, Gastown. With this in mind, Prado attracts hipster vibes and coffee lovers who want some solid productivity. To achieve this, there’s a communal table, long rectangular 2-seaters, and a bench running along the giant windows. If you can squeeze in the 25-or-so seats, try going for the corner as that’s my favourite spot and is great for people watching. 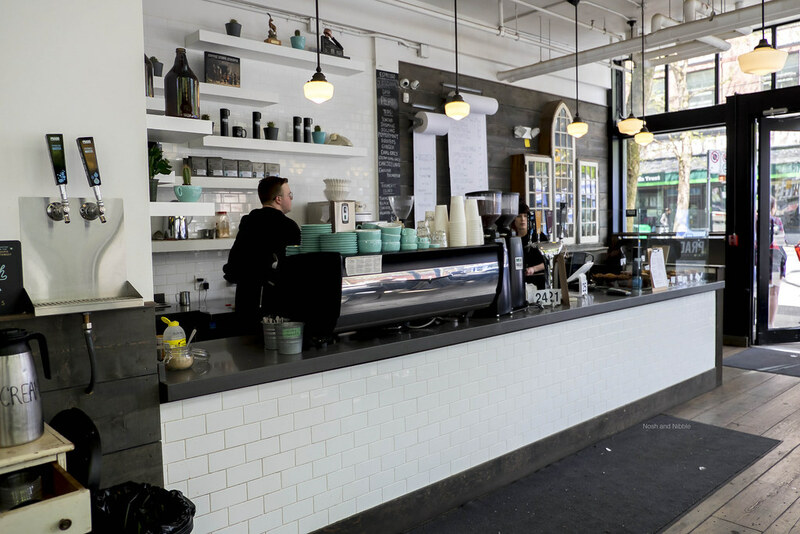 For both espresso drinks and made-to-order foods, you’ll place and pay for your order prior to receiving them. It’s a nice service being able to sit down and have your food delivered, so remember to tip! You’ll have to pick up your own coffee though. That’s sort of how it’s done at Bows and Arrows too. It’s pretty busy here during the day, so I’d recommend coming here for 2-person coffee dates and nothing larger. If you can snag the corner table, you can fit a lot more people there as the bench extends right along the windows. Lattes and food came out within 10 minutes and if you need something to occupy your wait, sparkling and still water are both available on the wall, through a pull tap. Enjoyed this review of Prado Cafe? You might be interested in following my next cafe reviews on Facebook or Instagram!